DraganSr: book, app: Wake Up! "Wake Up! is an app, a book and a workshop. It is here to make our lives more conscious, joyful and inspired. A series of human, playful activities designed to get us off autopilot, engage with the world and make every day count." 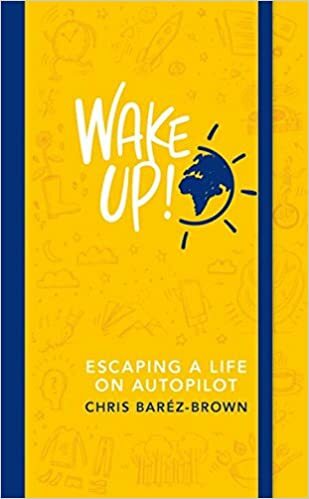 "It’s been estimated that more than 80% of our time awake is spent on autopilot, leading to a life of missed moments and even less enjoyment at home and at work. This week’s guest, Chris Baréz-Brown, is on a mission to help us escape that routine. The inspirational speaker, author and business beatnik joins us to share his tips on how to feel more conscious, joyful and inspired, and how to avoid missing what matters most"